The easiest and cheapest way to travel from Bangkok to Cambodia is to take an Air Aran bus service from Bangkok’s Northern Bus Terminal to the border near Aranyaprathet. The journey by bus takes slightly over 5 hours depending on the traffic. 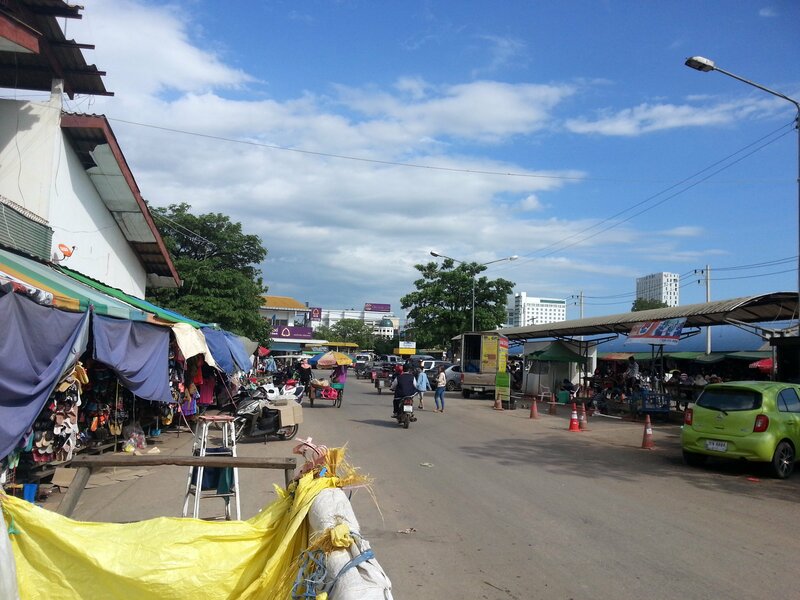 The border crossing is located in Rong Klua Market. 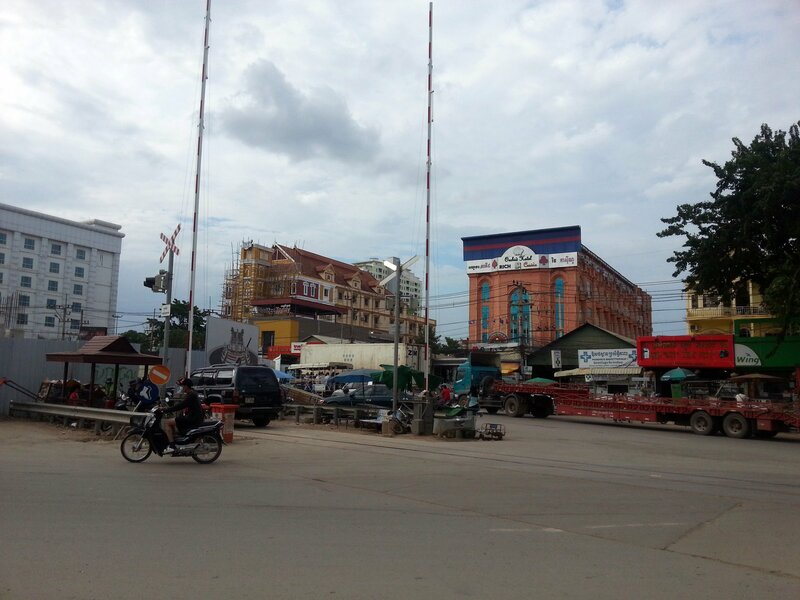 Once you get to the border cross over on foot into the town of Poipet, which bears more than a passing resembling to ‘Barter Town’ in Mad Max III: Beyond Thunderdome, and from there you need to take another bus to your final destination in Cambodia. 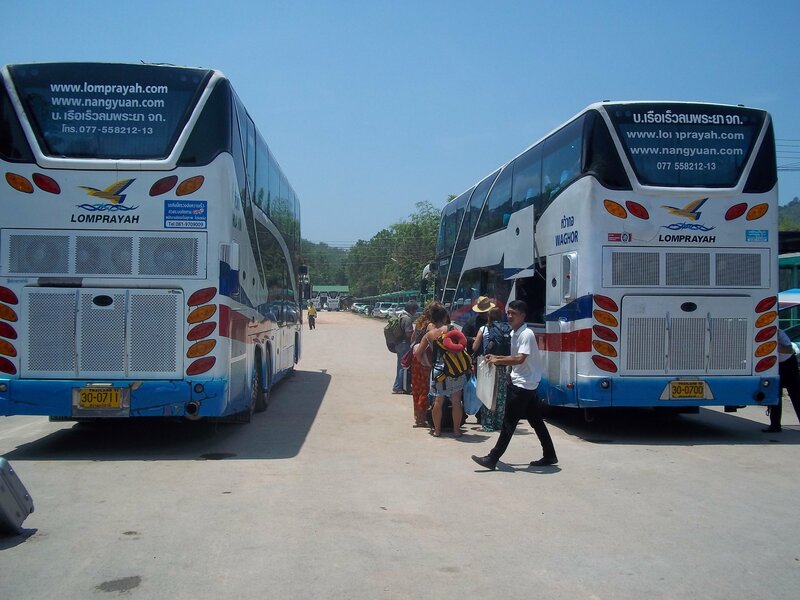 There are 7 daily bus services from Bangkok to the Thai-Cambodia border operated by the Air Aran Bus company. 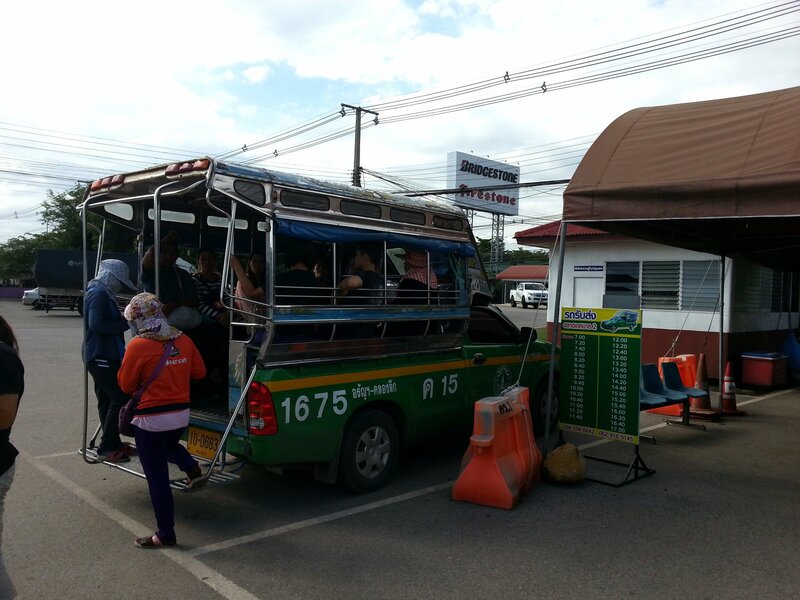 The cost of the bus ticket does not include the 10 THB fee you must pay for shared taxi from the bus stop to the border. 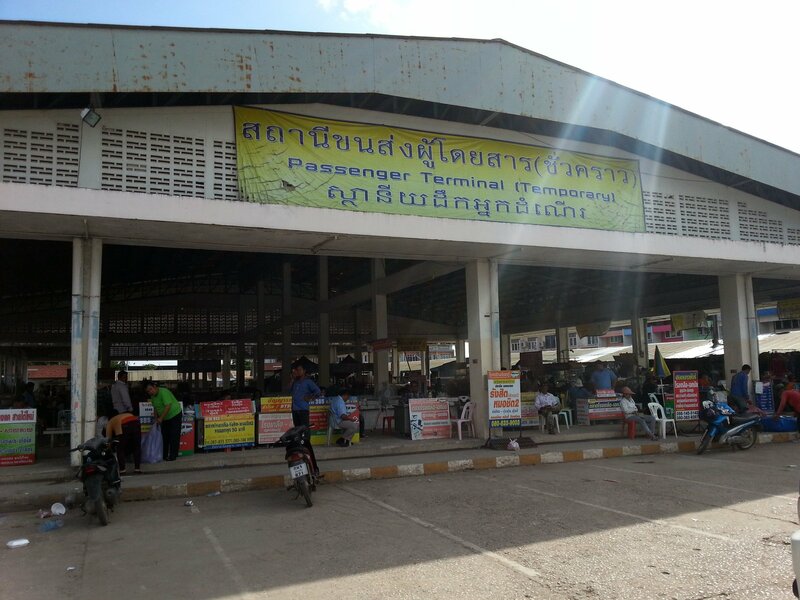 Air Aran bus services to the Cambodia border depart from Morchit Bus Station, which is Bangkok’s Northern Bus Terminal. 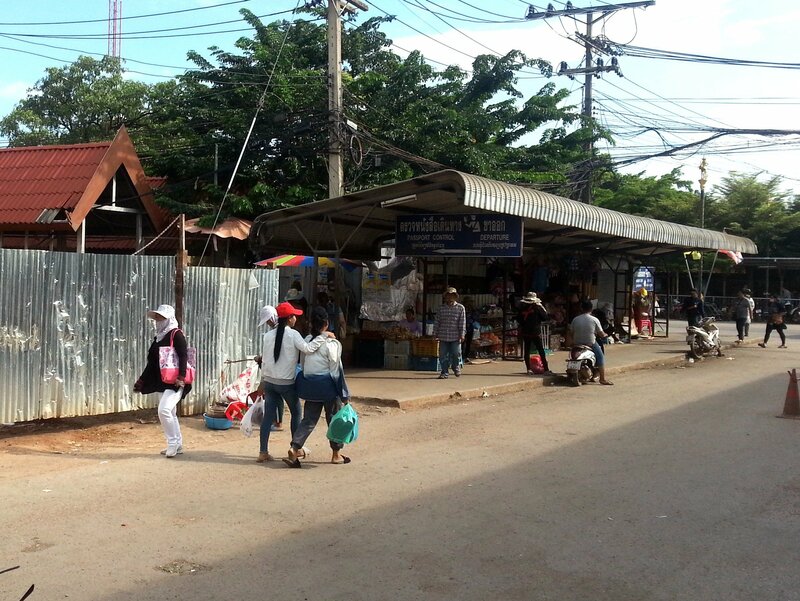 Aran bus services from Bangkok terminate at a bus stop in front of the Thetsaban 2 Market 1.3 km from the Thai-Cambodia border. 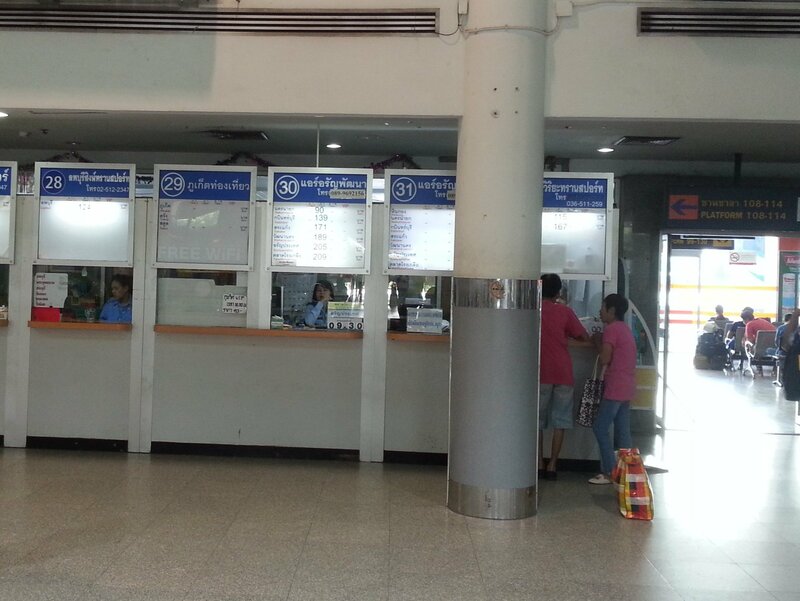 The journey to Cambodia starts with collecting your tickets at Bangkok’s Northern Bus Terminal. If you have booked in advance using the Search Box above present a print out of your electronic booking voucher at the counter to exchange for a paper ticket. The ticket counter you need is Counter 32. Next board your bus at least 15 minutes before the departure time. 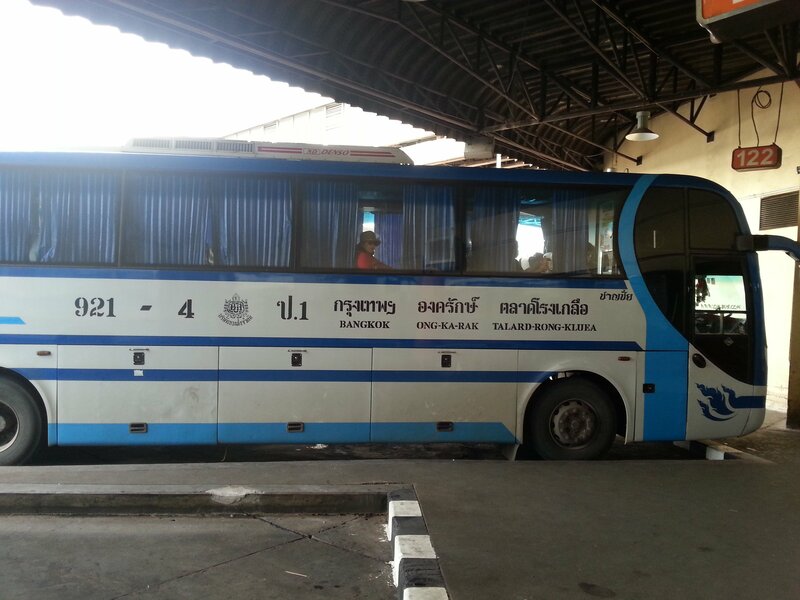 Air Aran bus services to the Thai-Cambodia border depart from Platform 122 in Morchit Bus Station. Take your seat, relax and enjoy the journey. The bus has air-conditioning and nothing else in the way of facilities. Expect a toilet break about half way through the journey and for the bus to be boarded at least once on route by Thai soldiers checking passports. Unless you have overstayed your visa, or you are on the run from the police, this is nothing to worry about. Air Aran bus services currently terminate in front of a market a bit more than a kilometre away from the actual border. Don’t worry there is no need to walk this last bit of the journey, just follow everyone else who gets off the bus as they are all headed in the same direction as you. There is a shared taxi service from the bus stop to the border. It costs 10 THB a person and is timed to leave when the Air Aran bus arrives. We recommend going straight to the shared taxi because if it leaves without you are going to have to wait a while for another departure or pay more for private tuk-tuk or taxi ride. The shared taxi stops where Rong Klua Market starts. There are no signs pointing towards the border crossing, although there are lots of people who will come and talk to you with the objective of swindling you into buying an overpriced visa for Cambodia at an unofficial Cambodian visa office, operated by Cambodian officials or people who say they are Cambodian officials. Tell anyone who approaches you that you already have an ‘E-Visa’ for Cambodia and ask that they point you towards the border crossing. The border crossing is accessed via the passage which starts under the sign in the picture below, between the corrugated iron barrier and the corrugated iron roof. The sign is blue and not very big. 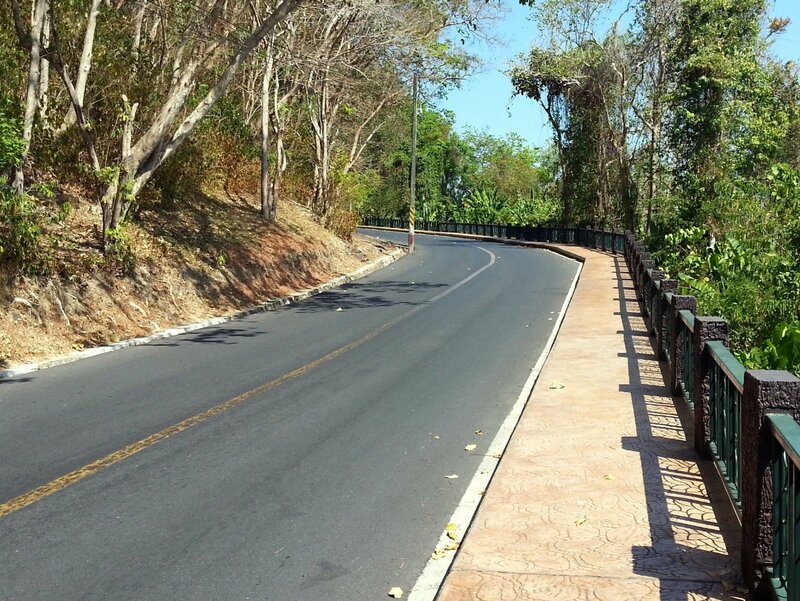 You will know when you have found it because its right by train tracks which now run all the way from Bangkok to Phnom Penh. The Thai-Cambodian border is not quite like any other border you will use to enter or leave Thailand in that it is an open border which you could simply walk across without anyone stopping you. 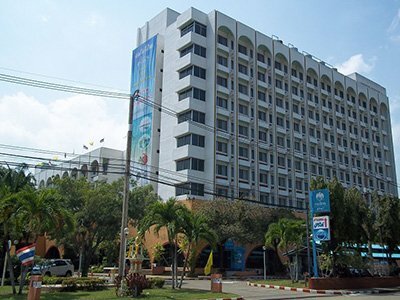 What you need to do is to head to the Thai Immigration office which is up a flight of steps to get stamped out of Thailand. After that walk through the long strip of no-man’s land which is full of casinos and stalls selling fake Viagra and fake whisky until you reach the Official Cambodian visa office, which is in a white building on your right just before Cambodian passport control. Get your Cambodia visa here if you have not already purchased an ‘E-Visa’ and then get a stamp into Cambodia at the passport counter at the Cambodian Immigration office.